Elegant 4 bed, 3.5 bath, 3 car garage - brick front Colonial in award winning Wissahickon School District! Pride of ownership clearly describes this home in the exclusive neighborhood of the Estates of Cedar Hill. Rarely offered, this neighborhood boasts tree lined and lamppost streets. Enter into a two story foyer with hardwooded entry of the main level, a formal living room is to the left and dining room to the right (off the kitchen), a gorgeous designer kitchen with newer tiled floors, 42"cabinets, corian counters, natural stone backsplash, newer appliances, a large center island-all open to the light filled eating area, and two story cathedral vaulted family room is just beaming with natural light, find a gas f/place nestled at the rear of this large home also offers balcony overlook. A private office (off Living rm), half bath and super functional mudroom along with lots of closets complete the main level. Two staircases lead upstairs to a plushly carpeted second story. The master bedroom (two walk ?in closets), sitting area (13x14) and bathroom is spacious and luxurious with a soaking tub and stall shower. Three other bedrooms boast large closets and lots of space - Bed #2 has private full bath and Beds 3 & 4 are separated by a shared Jack & Jill full bathroom round out the 2nd floor with rear staircase back to the kitchen and then access the large 3 car garage. An expansive basement offers an additional 1, 000 square feet of finish-able space. 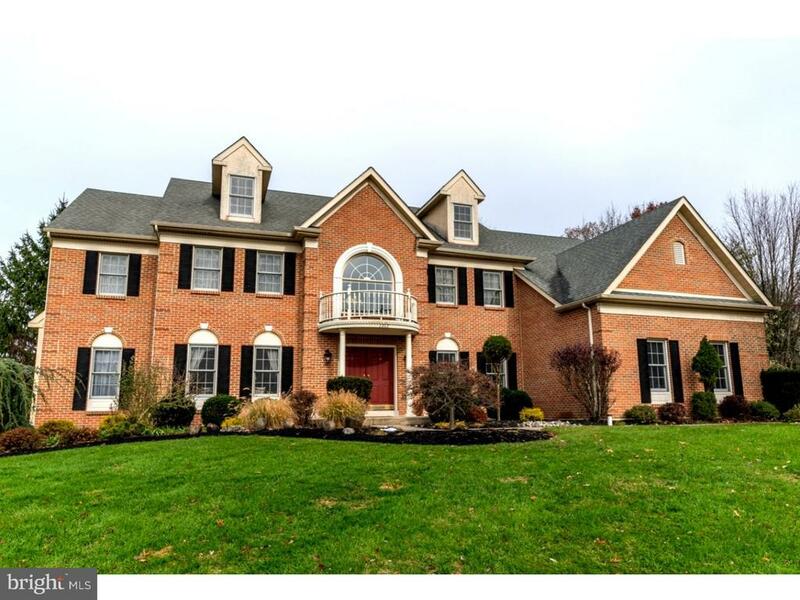 Wonderful Montgomery Co location, this home is within easy access to 63 & 309 & PA Turnpike. Shopping is down the street highlighted by the newly updated Spring House Village (wholefoods & more) and the 309 shopping/dining corridor to the North and Ambler dining to the South along Bethlehem Pk.